Virgie Tovar is an author, activist and one of the nation's leading experts and lecturers on fat discrimination and body image. She is the founder of Babecamp, a 4-week online course designed to help women who are ready to break up with diet culture, and she started the hashtag campaign #LoseHateNotWeight. She writes a weekly column called "Take the Cake" on Ravishly.com, and The Feminist Press will be publishing her forthcoming book of non-fiction, You Have the Right to Remain Fat, which comes out this month. 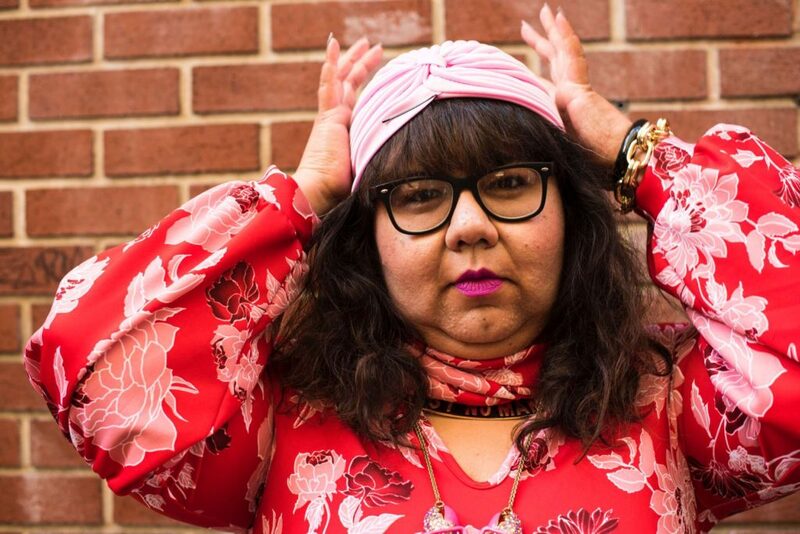 In this episode, Virgie talks about diet culture and fatphobia - what they are, how they function, and why we need to break free from that oppression. She shares honest personal stories about mourning the thin fantasy, the importance of desire and letting yourself want what you want, the ways in which fat women are often treated differently than thin women in romantic and sexual relationships, and so much more. I read Virgie's new book in one sitting, and it was such a delight to have her back on the show. I hope you'll buy the book for yourself, and that you enjoy hearing and learning from Virgie as much as I did! Really ? “Love” is a human right and who does not want to “love” fat people is “garbage” ? Nobody “chooses” to love anybody. Love is a complex feeling we cannot direct intentionally. Every mother with postpartum depression knows this first hand. I am fat myself but never would I expect anybody to “love” me for political reasons. While it is for sure true, that our feelings towards fat people are in large influenced by culture, even if we want to we cannot change that overnight. And what about people who prefer fat people. Are they “garbage” because they do not want to “love” thin folks ? Are people who only want to date older men/women “garbage” because they do not want to date young people ? A feeling (like love) can NEVER be a human right. Actions can be. Treating people with respect and dignity, that is what we should demand. Not feelings. Thats like asking for unicorns delivering breakfast.